For residential, commercial and industrial sites throughout Sydney, including the Hills district, Kellyville, Castle Hill, Rouse Hill, Glenhaven and all surrounding suburbs. Send an enquiry and we will contact you with a free quote. Obligation free! on our quality workmanship, professionalism and friendly and reliable service. ‘How many people does it take to change a light bulb?’ With the rise in smart lighting, sensor controlled globes, energy efficient LED lighting options and WiFi switches, the answer to this timeless line is no longer as simple as it seems. 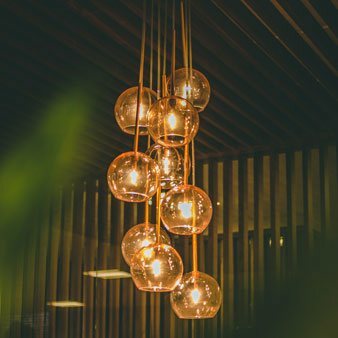 More and more modern homes are taking advantage of the advances in lighting technology to beautify their homes and add a sense of modern elegance without the added costs. At Hardwired Electrical, we can repair and install lighting types to suit any home. Whether you want backyard sensor lights to make summer BBQ’s an energy efficient hit, or WiFi control so you can jump in bed before flicking off the lights, we can make it happen. Whatever bright idea you have, we can make it happen. With constantly rising power bills, we provide budget friendly LED lighting services to help you keep costs down. Lasting longer and using up to 90% less energy than traditional incandescent bulbs, switching to LED lighting is perfect for every home. As experts working in the homes of the Hills district, and the wider Sydney regions, we can bring our invaluable expertise to consult on renovation lighting that connects with your design and budget. We’re committed to putting our customers first, so where our lighting services are offered we provide free safety checks and inspections too. For your own lightbulb moment, reach out and speak to our experts on 0430 118 838 today. 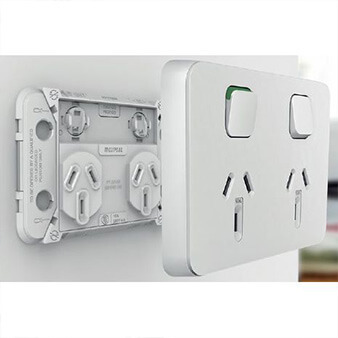 From computers and TVs to kitchen appliances and whitegoods, the need for safe power boards and power outlets in your home is greater than ever. God forbid the internet drop out with teenagers in the house! If you’re living in an older style home then this becomes even more crucial, with older designs not equipped to handle the load of a full household of technology. Whether you have outdated power outlets that no longer work or, you’re looking to install new power outlets to make your home more technologically accessible, our team of skilled electricians can get you connected. With these small improvements you’ll see the aesthetic feel of your home improve, and you won’t hear the kids complain that the Wifi doesn’t reach their room either. If you’ve got a number of large appliances, you’ll need working dedicated circuits to ensure they operate safely. Ensuring each dedicated circuit, and each circuit breaker, is in safe, working condition is vital to ensure your family stays safe and your beers stay cold. Working dedicated circuits also ensure you can use electrical devices around your home without risk of overload. As well as checking and repairing existing dedicated circuits, we can also install new circuits for home or office renovations. Working inside and outside, our experienced team can also install outdoor power outlets, perfect for outdoor power tools, as well as run lights to garden sheds, detached garages or other outbuildings. Get absolute power by calling Hardwired Electrical on 0430 118 838 today. Wireless internet is fantastic, until it stops working and you’ve already tried to turn it on and off. 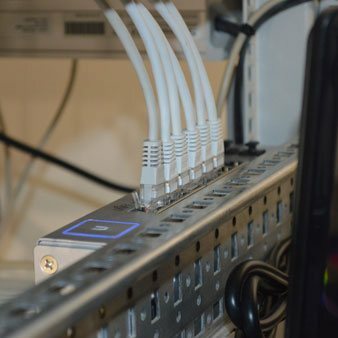 We can install Cat 6 cables to connect your devices straight to your router, providing you with faster and more reliable internet speeds. Whether you need the internet for work, or simply enjoy streaming movies, Cat 6 cabling is a flexible and convenient solution to streamline your life. At Hardwired Electrical we understand how common it is for a house to have TV’s in several rooms. However, many houses will not have adequate TV points, with older houses often having none at all. With our considerable expertise built on years working in Hills District homes, we can install TV points in any home style, without damage or disruption. Have you always wanted your own home theatre? We’re proud of our record of bringing stunning home entertainment systems to our clients. We can help you decide on the perfect audio visual installation and bring it to life. Whether you want a roof mounted projector, surround sound speakers or new TV mounting, you can be assured we’ll provide a professional and exceptional service to make it a reality. Ensuring your data needs are constantly met, we can design and upgrade data networks, install antenna TV and telephone points with reliable installation and repair to ensure things don’t go astray. With a focus on safe and quality work, we know you’ll be satisfied when you choose Hardwired Electrical. Connect with us on 0430 118 838 to stay connected. With constantly rising power bills, using fans to keep your home cool and leaving the AC off can save you considerably. At Hardwired Electrical, we bring a proven and professional service to install a wide range of fans. 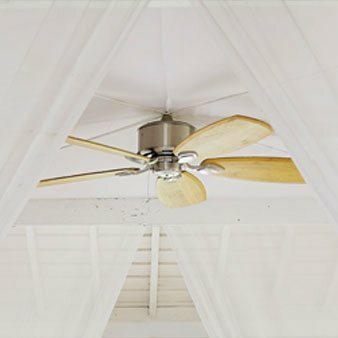 For those muggy Sydney days where AC feels excessive, a ceiling fan can bring the temperature down by as much as 4° celsius, making the day enjoyable and lowering your electricity bill too. More aesthetically pleasing and beneficial than a pedestal fan, ceiling fans allow you to maximise the space in your room, keeping bulky fans off the floor. On top of this, you can combine your ceiling fans with sleek lighting to bring any room to life. At Hardwired Electrical, our experts can install all types of ceiling fans, from standard through to designer models. Would you love to be able to control your fans with convenient remotes? Our skilled team can help with that too. We understand how much our clients enjoy their outdoor time, so we also provide an established service installing fans outdoors. With the moving air creating an effective deterrent to flying bugs, you get a temperature controlled environment and a personal bug removal service all in one! Adding a touch of modern living to any outdoor entertainment area or patio, we can install fans that are weather proof with high IP ratings to ensure maximum longevity. Perfect for an Aussie summer, you can enjoy a BBQ and enjoy the cool all at once. Become a fan of ours by calling 0430 118 838 today. Switchboards act as the central unit for your home’s electrical usage. As such, it’s important to have switchboards that can handle your electrical load without the risk of outages or safety hazards. If your switchboard is starting to become outdated then you might want to consider updating it, with older styles posing a potential safety hazard to your home. While older switchboards suffer from an insufficient power supply, they also present a higher risk of short circuiting which may lead to fires and electrical shocks. At Hardwired Electrical we can assess your existing switchboard and install new models to keep your home powered in the most effective and safest way. Just because it isn’t broken, doesn’t mean you shouldn’t fix it. Our range of modern switchboards contain safety switches which other older models do not have. These switches, known as Residual Current Devices (RCD), play a crucial role in providing instant power cuts during dangerous situations. It can be a challenge to identify electrical hazards. Drilling into your wall, or using a faulty appliance, can become deadly without the safety of an RCD switch. 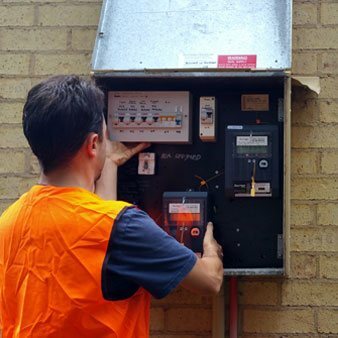 We pride ourselves on providing the safest services, with our RCD switches meeting the current Australian standards (AS 3000) for electrical safety. We also appreciate how difficult it can be to gauge your home’s electrical safety. So we offer free safety checks as part of our everyday service to give you the peace of mind you deserve. Make the switch to Hardwired Electrical by calling 0430 118 838 today. The safety of your family is always your priority, so we make it ours too with fault finding services that give you a lasting peace of mind. We test your electrical equipment to ensure it is in a safe, working condition, not just keeping your household running at full power, but keeping your family out of harm’s way too. Have you heard buzzing noises? Maybe you’ve suffered from power shortages? Or, do your lights constantly flicker and you don’t know why? Our team of electrical professionals are equipped with the time and the tools to help diagnose and fix your problems. There are many reasons why you might be experiencing electrical faults. These may include old appliances that no longer work, water damage and exposed wires, or circuit faults. 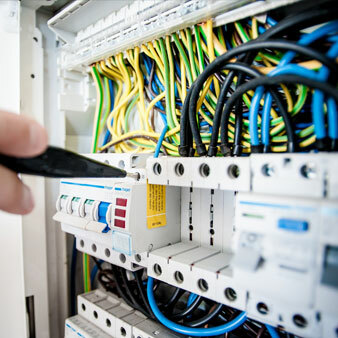 We are licensed to disconnect and reconnect electrical wiring to isolate and test within your home for the most comprehensive fault finding. It’s always tempting to try and fix the problem yourself by going to your fuse box and flicking switches on and off, though the last thing you want to do is make the situation worse, or potentially risk injuring yourself! Not only can electrical faults affect the way your appliances work but they can also cause serious electric shocks and ignite fires. With over 1,000 electrical related injuries in Australia each year, it’s important that you contact a professional when it comes to your electrical concerns. You won’t find a fault with our services when you call 0430 118 838. Hardwired Electrical offers a wide range of audio visual services to suit your Home entertainment and Audio-Visual needs. Whether you’re looking to upgrade your existing entertainment setup, or install a completely new system, our experienced team can help. Home cinemas are the latest trend. With affordable installation prices you get a priceless privacy, meaning you can watch your favourite movie over and over again! 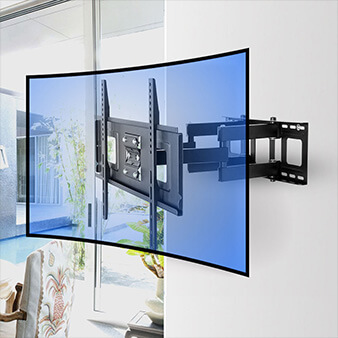 With experience installing all types of cabling, as well as wall mounted TVs and projectors, your big screen experience is only a phone call away. Thinking of turning your old TV into a smart TV? Not a problem! We’re here to entertain. If you’re looking to install a home entertainment system that will be the envy of your neighbourhood, you’ll need an audio set up to match. Whether you opt for surround sound with individual wall mounted speakers or keep it simple with pair of stereo floor standing speakers, we’ll help you choose the system that’s right for you and bring it pumping to life. If you’ve got kids in the house, or you’re young at heart yourself, then a modern gaming console setup will press all the right buttons. As well as installing the latest gaming PC systems, we work with computers and storage solutions, ensuring your data is secure and future proof, with Network Attached Storage options included in our extensive audio visual offerings. Gone are the days of messy cables trying to trip you up. When you trust Hardwired Electrical to service your home entertainment needs you trust a job that will exceed expectations from start to finish. Let us entertain you by contacting Hardwired Electrical on 0430 118 838 today. Your home is your sanctuary, so your peace of mind is priceless. No matter where you live, adding a touch of home security can provide the calmness and confidence that you and your family deserve. At Hardwired Electrical we provide a range of security systems to suit your needs, with customised services tailored to you. Surveillance cameras can be installed to provide an extra pair of eyes when you’re not at home, with the presence of cameras around your home as an effective deterrent. Our surveillance cameras range from simple doorfront devices to larger, multi-camera setups, so you’re always in control. 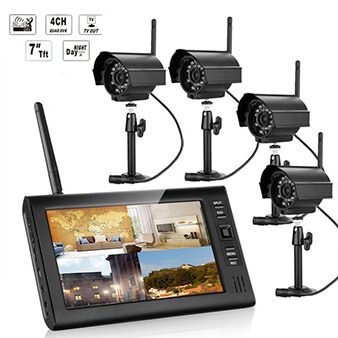 With the ability to monitor your camera from a mobile device anywhere in the world using Wi-Fi, you can rest easy knowing your home is always under your watchful eye. All cameras and recording devices can be configured to suit the needs, whether it is to automatically record when triggered by motion, timed recording, or plain non-stop recording, protecting what you value most. We know that safety is a complex process though and strive to provide systems that protect you in your home, as well as out of it. Our range of technologically advanced intercom systems allow you to communicate and monitor without leaving your home. With optional doorbell video feed our security services are designed to protect your most valuable assets – your family and home. With so many custom security options available, reach out to a member of our team to discuss your personal security needs. Hardwired Electrical has been providing a quality and reliable service to the homes and businesses of Sydney for the past 10 years. Located in Beaumont Hills, we’ve come to understand the unique electrical needs of the Hills District, having played a part in keeping their homes illuminated, connected and safe. We pride ourselves on our competitive pricing, and offer our services Monday through Saturday, 7am to 5pm, because we know there’s never a good time for an electrical emergency. 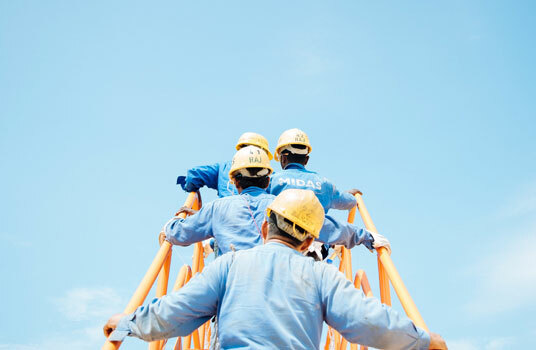 With considerable experience and expertise in a broad range of electrical installation and repairs, we’re committed to getting your job done on time, under your budget, and above your expectations. Our long list of clients and exceptional results speak for themselves, with an attention to detail, a quality workmanship and a personalised approach that sets us apart. Hardwired Electrical provides quality work with friendly and reliable service, delivered at a very competitive price. Based in Beaumont Hills, NSW, we cover all surrounding areas and are open for business Monday to Saturday 7 am to 5 pm. With more than 10 years of experience in all aspects of electrical installations and repairs, we have the expertise and know-how to get the job done on time and on budget. In the years that the business has been running we’ve built up a long list of satisfied customers who appreciate our attention to detail and quality workmanship. When you need quality electrical work, including lighting power and data, you can’t go past the expert service from Hardwired Electrical, where customer satisfaction is guaranteed. For a free quote and safety check, make you first call to the professional electrical contractor you can count on, we won’t let you down. Very happy with the service, very polite, very clean. Efficient, reliable, polite and very reasonably priced. No job is too difficult!!! Fantastic electrician!! A good tradie is very hard to find these days, luckily I came across Hardwired Electrical. Mehmet is a very knowledgeable, reliable and efficient electrician who does great quality work. Two thumbs up! We have used Hardwired Electrical several times, always on time, polite, and most importantly does a great job, Reasonably priced and also cleans up any mess if there is any. I would not hesitate to recommend Mehmet and definitely will use his services again. A 5 Star rating is well deserved. Very happy with the service from hardwired-electrical. Punctual, clean, polite and excellent finish on all jobs. Definitely recommending to friends and family.